A pair of doves produced two chicks up to eight times a year, often starting a second nest before the first brood flew. 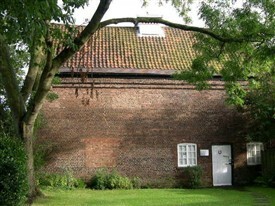 From May to September the young birds, called squabs, ere a regular source of food. They were usually culled at four weeks before the breast meat was toughened by exercise. Adult birds would be eaten after long, slow cooking and were also supplied to falconers as food for their birds of prey. The feathers and down were used for bed quilts and pillows. The dung was a very valuable fertiliser and a source of saltpetre (potassium nitrate) used for making gunpowder and for tanning leather. 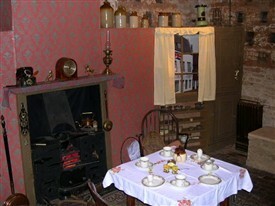 · There is a replica parlour and scullery dressed with objects and furniture from the late 1800’s to mid 1900’s. · Regularly changing exhibitions of old photographs and plans for Wollaton through the ages. 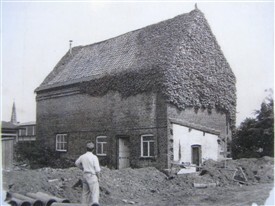 · The history of Wollaton Dovecote and its restoration. This page was added by Angela Gilbert on 09/04/2013.